You’re sure to be impressed by the Brave 4, which features the modular Brave ZIPON System, making it the quick-change artist among convertible harnesses. It takes just a matter of seconds to adapt the Brave 4 for your particular purpose, whether it’s ground handling, speed riding, speed flying, hike&fly or paragliding. It’s light in weight, but it still has impressive comfort and durability, and a sleek, minimalist design in whatever mode it is used. The Brave 4 airbag module is unique for this category of harness. It is attached at seven points, thus forming, together with the harness module, an LTF-certified, compact unit. 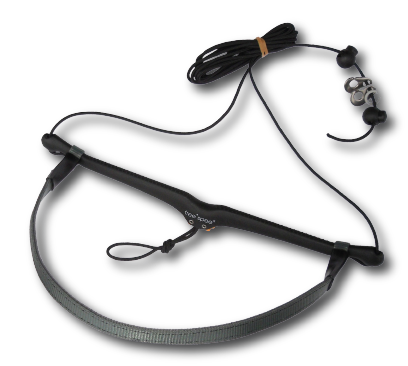 Its damping values are excellent for this class and compare well with modern standard harnesses. The Brave 4-Basic module is a comfortable ultra-light harness, which adjusts perfectly to your body and follows every movement.This mode is suitable e.g. for ground handling or quick hike&fly trips. The rear storage pocket is approx. 22 litres, which provides sufficient capacity for the most important gear needed by speed riders/speed flyers. Like the previous model, the Brave 4 offers optimum contact to the glider, both with and without skis. Together with the Brave ZIPON backpack module, the Brave 4 becomes a full-featured convertible harness with an extremely functional alpine backpack, which can also be used as a stand-alone backpack. In harness mode, the backpack disappears completely into the rear storage pocket and there is still enough storage space for extra luggage. 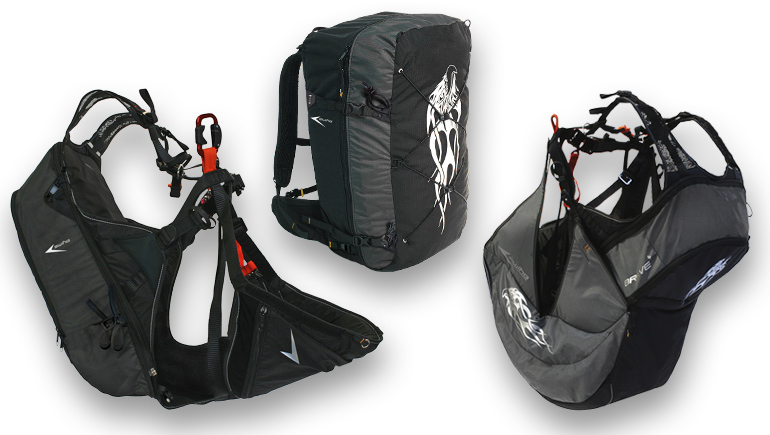 In backpack mode, it has enough space even for “normal” paragliders up to at least size M, depending on how it is packed, and there are various attachment options for ski and/or trekking equipment. The ventilated back system makes it extremely comfortable to carry, even on extended trips. The airbag module is installed in just a few steps and turns the Brave 4 into a comfortable EN/LTF-certified convertible paraglider harness. Nitinol reinforcing rods ensure that the airbag operates perfectly even during the launch phase. If a front reserve and a speed system are also installed, the Brave 4 is the perfect solution for travellers and social pilots who want to be equipped with a small paraglider backpack for all eventualities. free*spee provides you with highest performance at lowest weight. Reliable technics and high quality materials set standards. Our free*spee gives you the possibility to adjust the speed system at any time during the flight.